"Clara" is the resident princess and she knows it. She was bred by us and has returned after finishing her championship with Colleen Franks. 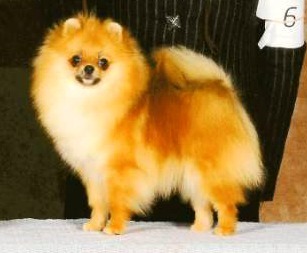 Like most of our Poms, she is very playful and cuddly.